This course offers step-by-step instructions on how to choose a theme for change and take action to make your dreams a reality. At the heart of each Outward Bound course or a similar immersion experience is the development of life-giving habits that allow you to thrive and flourish. What does it mean to thrive and flourish? It means that you are not living on cruise-control. Instead, you are living a life of compassion through service, both physical and emotional fitness; fulfilling work and self-reliance. After 35 years of teaching Outward Bound and through hundreds of interviews with instructors and students, I have developed a powerful method based on the Outward Bound principles that, if integrated, can truly transform peoples lives. 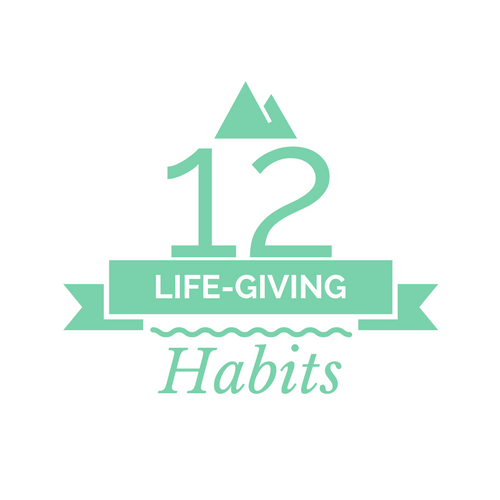 I wrote a book called 12 Life-Giving Habits for Life After Outward Bound. It is a small book with a big invitation to experience your best year ever. The resources you will find on this website including the book, online courses, blogs, podcasts, live events, and corporate, organizational or personal coaching are designed to help you develop and refine the life-giving habits. Whether you have taken an Outward Bound course or not, I hope that together we can build stronger more vibrant communities that truly thrive and flourish. My name is Kevin Klein, but everyone calls me Doc, not because I am a physician, but because of my colorful past in the great out-of-doors. For over forty years, I have dedicated my life to helping people and communities reach their highest potential. Much of that time has involved working with Outward Bound as an instructor, course director, program manager, and eventually as the Director of the Kurt Hahn Leadership Center. In addition, my work as a consultant with schools/colleges, health agencies, businesses, and social communities has given me deep experience and insights in how change really happens on the ground level. One of my methods for engaging people is through poetry and photography. This taps into a heart-centered approach that allows people to move beyond the intellectual to look at and change the behaviors and habits that do not serve them. In 2009, I read A Year to Live by Stephen Levine. This book challenged me to live as if I only had one year left on earth. As part of this mindfulness exercise, I chose my last day and lived as if I only had a year left. During this year, I took off two weeks each month for twelve months and climbed fifty mountains with fifty friends. It was truly one of the best years of my life. After completing my year to live exercise, I ended up in the hospital with a rare heart virus and almost died. As I lay in a hospital bed in the ICU, my heart was deciding whether to continue to pump blood to my body. I remember looking out of the window and seeing the sun and some backlit clouds and, for a moment, there was no worry about my future, only this moment that included both a struggling heart and a beautiful day. This profound experience of both living life to the fullest and near-death led me to dedicate myself to helping others experience One Amazing Year. Doc Klein, Outward Bound leader and experienced community builder, is a man with fire in his belly and passion in his heart. He lives every day with boundless empathy and authentic compassion. He inspires people not only to make personal breakthroughs but also to serve others and to build true community. Having worked side by side with Doc to establish a leadership center based on the bedrock principles of Kurt Hahn, I see his approach as uniquely relevant. His writing is an antidote to the confusion and uncertainty of our times. Being Outward Bound is about what you do after your course, not during. This veteran instructor and poet-philosopher inspires us to ask how we can live remarkable lives filled with adventure and compassion. Life changing experiences are only as significant as the actual changes you make in your life after they occur. Doc offers twelve pragmatic ways to take your "mountain top" experience and use it to change your life in the span of a year....anyone who chooses to walk this path will travel a road toward to a higher life of joy, discovery, and service. Doc Klein is a good guide and companion on the long and winding path of personal growth. He accepts people as they are and coaxes out of them the qualities he sees in them that they might be missing. He has the soul of a poet, the mind of a teacher, and a blue-collar practicality about him that invites us all to jump in and get things done...a little differently; a little better.